On this website you will find expert advice based on many years of experience. 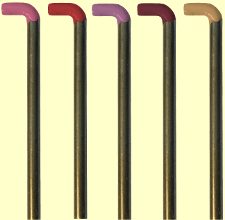 WIZPICK felting needles are especially selected for handcraft use. 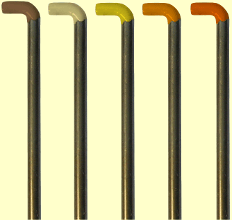 Each needle of our extensive range can be easily identified with the globally recognized WIZPICK colour code system. WIZPICK is a wholesale company and only supplies businesses. For retail sales inquiries select a convenient retail or mail order store. We know your customers will appreciate the advantages of our extensive range of felting needles, selected specifically for handcraft use. Our regional representatives stock the full Wizpick assortment of sixteen colours and are themselves knowledgeable and experienced needle felters. You will find the WIZPICK colour code system a real bonus, especially because it makes reordering so easy and is recognised throughout the world. So that we can respond quickly and appropriately to your wholesale inquiry, please make sure you include a brief description of your business including: location, type of sales (e.g., store, mail order, market stall, classes), opening hours, typical customers, range of products offered, other services offered, and full contact details, also your knowledge level of needle felting and familiarity with WIZPICK needles.